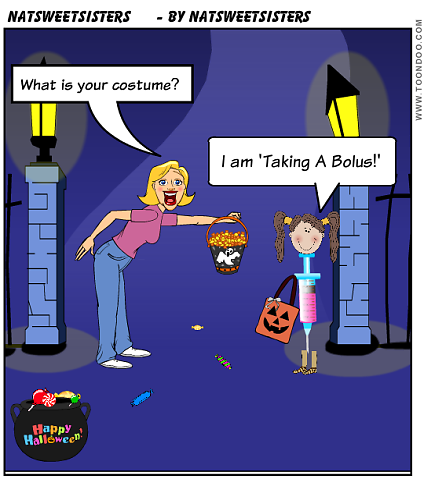 My thoughts about Halloween have changed drastically over the years. I might have even come full circle. All I am thinking about now, is the delight in being able to restock my 'low blood sugar' pantry supplies. From the Naturally Sweet Sisters, Happy Halloween! Earlier this morning, my phone rang. It wasn't the typical time of day for either one of my little girls to be calling, so I wasn't overly concerned. I finished my last sip of coffee and strolled into the kitchen to retrieve my cell phone. Then, I saw her lovely face on the caller ID. "Mom?" She said, while sounding a bit breathless. I answered her and immediately asked if everything was alright. While waiting for the answer, the little hairs on my arm stood to attention in anticipation of a dreaded response. "Yes. I just finished that science test and I got a 93%." Relaxing, for just a moment, I congratulated her and told her how proud I was. Impatient with me she said, "No. It's not good. I went into the test and my blood glucose was 189 mg/dl and now, I am 83 mg/dl. I feel terrible. I dropped all that way in 45 minutes." My concern escalated and I suddenly understood her reason for the call. It wasn't to tell me that she did well on a science test. It was to tell me that she was worried about her health and needed some reassurance on what to do. We talked a bit more and I encouraged her to eat something to help both raise her blood sugar and to calm her nerves. From the noise in the background, I could tell that she was between classes and most likely rummaging through her locker goody-basket for something that sounded palatable. A second more and while chewing, she said her good-bye and told me that she would call later but was already feeling better. I wisely understood that, most likely, she felt emotionally better but not physically better. And she will be fine. I know this. We have lived in this world of type 1 diabetes for me to understand that cycle of high to low and back again. But what I will never get over is the fact that our life can never fully celebrate the joy that we have without some part of type 1 diabetes creeping in. I am so proud that you did well on that science test. You are amazing. You are smart. You are strong. You are wonderful! Today marks the second week of a little something - something that the State of Michigan calls MEAP Week. In a nutshell, the acronym means a whole of standardized testing in a range of subjects to determine how well the school/teachers have been teaching. Going in, I explain to both of my girls that this is not a test for a grade on their report cards but more of a chance to see how much they have learned from last year. Since I am not concerned about how well they do, my girls should not be overly concerned either. By using this line of reasoning, my hope is that they remain calm, cool and relaxed during the 2-4 hour testing time (each daughters exam length varies by grade - with older children testing for longer periods). Blood sugars sky rocket and then, go a bit higher when the girls' see the upward trending numbers. It's a circular problem in which apprehension, nerves and anxiety chase each other around. And with a hefty dose of insulin before starting the test (hoping to bring blood sugars back down), ultimately the next worry is watching Sigums arrow point downwards and blood sugars crashing. This year was a little easier for oldest daughter than in the past. I have no scientific reasoning of why this might be. Maturity? Redundancy? Or maybe a little bit of mom's easy-breezy attitude rubbed off this time. In any case, the worry is what will happen for those standardized tests in the future? The big ones with scary letters... ACT and SAT? I hope that our training on handling the MEAP makes it a bit easier. Still, the worry is there. How will our girls manage those tests? Any ideas? Send them on over. We can all benefit from a little bit of future planning! Walk Day Blood Sugars - Yep. Why we NEED a Sigums! Sigums snuck away this week. Which then led to Youngest Daughter having a sobbing fit while watching the rest of us cry. For two days, we searched high and low. I put a bounty on it and told all of our daughter's friends to look and the first that came to me would be handsomely rewarded. And then, like a little beacon of light, Sigums reappeared while Naturally Sweet Dad was using the lawn mower. What is most amazing is that he caught the glimmer of the shiny pink front on his way back from mowing the first strip of grass. That meant that he actually ran over it. What is even more amazing is that we have in ground sprinklers that are timed to go off every morning. That meant that it was covered in a hefty dose of water. Now there is the best testimonial a product can have. Thank you DexCom G4!!! We adore you!!! Why we walk? Because after the walk was over, one little girl completely bottomed out for two hours. Grrr. October weather here in Michigan has been unseasonably warm. Which was nice because for the first time in a few years, it was warm enough to do our Walk to Cure Diabetes for JDRF without wearing a coat. The nutty part was that our team actually loved it. Somehow, the gentle rain made the walk a little bit more exciting and fun. Maybe it was the calmness that the sound of rain brings on an ordinarily crazy day. Or maybe it was the water play silliness during an event that can often bring about a range of emotions, especially tears. In any case, the rain mostly added giggles and lots of camaraderie - you know like when you say, "Well at least its not raining?" except in this case, we could say, "Well at least it is warm and people still are walking!". We were literally 'in this together' and it showed through our soaked clothes and huge grins. And, we were definitely 'in this together' in the completely unflattering pictures that our team captured. Such a stellar hair picture! I picked this one as I am about as far away from the camera as can be. Ha! On the stage, getting ready to deliver a speech - which for walk day - had zero nerves! We are here to FIGHT diabetes! Our Naturally Sweet Sisters rallied and produced a total donation of over $4,500! My prediction is that by the end of the walk season - one month left!-, we will be at $5,000. It is so remarkable when I think about it. When we started with our first walk, it was just our little family of four. Today, we have a team of about 40 people and each one is dedicated to helping us. Thank you to the entire Naturally Sweet Sister's team - and a special shout out to each of you that bought t-shirts through our fundraiser or donated directly online through the JDRF website. You are what makes this walk so wonderful and I know that are making a difference. Both of these pictures are from one of our early walks when our team name was 'Livy's Loved Ones'. Another diagnosis later and here we are with Naturally Sweet Sisters. I know the fundraising efforts will pay off through research (Look at the recent Medtronic release of a new auto-shut off insulin pump in the USA!) and ultimately, a cure. I have hope. We all should have hope. Lots of it! Making her lanyard to display that she is walking with type 1 diabetes. My daughters had a special role this year. Both were selected as Walk Ambassadors for the second time. Each filled out a questionnaire early in 2013 and submitted school pictures. In June, it was announced that they were chosen and on walk day, all of the Walk Ambassadors were invited to cut the opening ceremony walk ribbon. It was a thrilling honor for the girls and they were giddy with being a part of such a neat, once-in-a-lifetime event. I thought it was pretty cool too! I don't think I have ever cut a ribbon to kick-off a ceremony in my life. 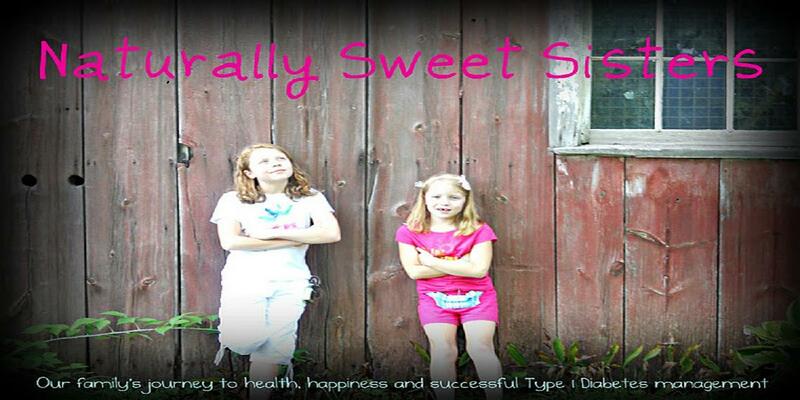 It made me feel so proud of their accomplishments while living with type 1 diabetes. Pretty amazing stuff when I look back through the years at the journey to get here. Walk Ambassadors cutting the starting line ribbon to kick off the walk. This walk season brought on a new opportunity for me too. At the same time the girls were submitting their application for Walk Ambassador, I was asked if I would be willing to serve as a Co-Chair for the 2013 Walk. After lengthy discussion with our family, I decided that I was up for the challenge and headed into the season with lots of hope for a wonderful year. It was fun too. I had to conquer some stage fear and give a few speeches. I was also able to meet many more wonderful, dedicated to getting a cure, families. Nothing is better than having the chance to meet people who are dealing with the same things that you are and are determined to bring about change. It is inspiring! If you haven't had a chance to reach out to your local JDRF branch, I highly encourage you to do so. Get the date and time for your next walk and try it out. See if you like it. It is a wonderful way to immerse yourself in the world of positivity of type 1 diabetes. And that is a wonderful thing.. to be surrounded by 'positive' people that aren't giving up hope. I guarantee that will recharge your perspective! Plus, if you hang around long enough at the walk site, you might even get to take home one of the big balloons. Youngest Daughter is the proud owner of the world's largest helium balloon. What a whirlwind this past week was! We finished up our fourth week of school which meant that our oldest daughter had her last (and hopefully final) 504 meeting with her seven teachers and principal. It went smoothly and I truly felt the connection between the teachers and oldest daughter. In the way that I always hope for, there was a collective agreement that everyone wanted 'what was best' for our child. Now, that my team is in place, I can reflect on how we made it happen and what I would like to change for next year. Boy oh boy, have I learned a lot since she started Junior High! I thought I might share a few of those thoughts with you. This is also very self-serving because I think by writing them down, I will be less apt to forget by next fall. Maybe. It seems kind of like trying to remember what Christmas presents that you purchased in July and then, completely forgetting that you stored them! Um, yes. Maybe I use that analogy from actual experience. I am not telling though because Christmas is only 80-ish days away. 1.) Meet the teachers before school starts. We attempted that and asked for our initial 504 meeting to be held in August. Our request was complied with except that the building was in complete disarray and per the contract in the teacher's union, no teachers could be let into the building until safety was in place. Our assistant principal kindly allowed us in, meeting us near the entrance and guiding us to her office - which was a make-shift room in the library. Working with what we had, I felt more confident that at least the core staff would know who our oldest daughter was and what she needed to do in order to be safe. 2.) Plan out the daily type 1 diabetes routine. This was absolutely the best thing that we did. Together with another family who is also living with type 1 diabetes, we were able to not only tour the school and learn the route to seven classes from our child's locker, but also, to define clear cut areas and times for the kids to test their blood sugar. This was extremely comforting for all of us. 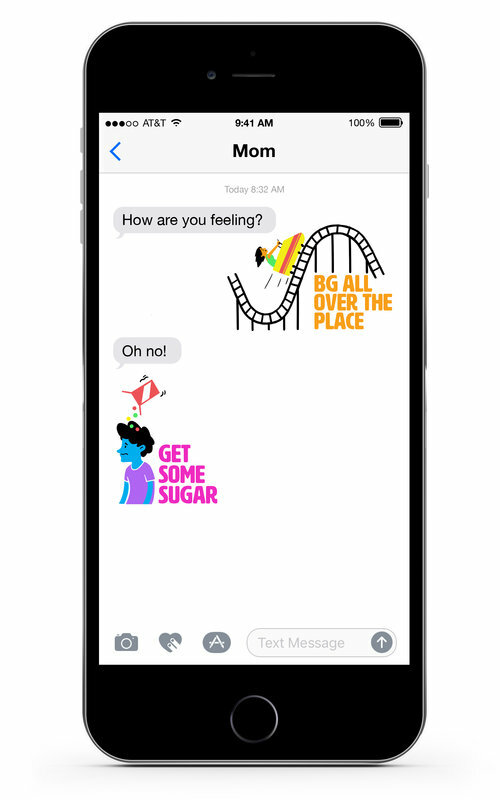 This eliminated any awkwardness from the kids wondering if it was OK to stop what they were doing or to be concerned about having a 'tardy' - (which for diabetes care related time, there are no tardies, however the kids still worry, especially oldest daughter who abides carefully to school rules.) This is a huge stressor and one that we wanted to reduce before there was a concern. 4.) Be a stalker. Ok, not really. However, if you happen to be in the school because you are rehearsing #2 and a teacher happens to be in their room, prepping for school to start, crash in on them (politely) and introduce your child. Yes, become that kind of a parent. It might seem strange at first, but it became clear that the teacher was relieved to have met our oldest daughter and to know ahead of time that she was bring type 1 diabetes along to school. In this way, there were no surprises and (I think) there was a bit of relief over the concern of how to handle our child's care from the teacher. 5.) Go to Parent Night. Yes, it is drag to have to go to another school event where there are 100s of parents waiting for exactly 12 seconds to talk to a teacher. My dear friend Amy, a pro at raising junior high kids that live with type 1 diabetes, explained that instead of waiting to speak to the teachers, she drops off a letter identifying who her child is, provides an overview of type 1 diabetes and how her child reacts to hyper and hypoglycemia. Brilliant! I did this and received two complimentary emails from teachers that said it helped them to understand better and that they were happy to have such an easy to read sheet. Thank you, Amy!!! 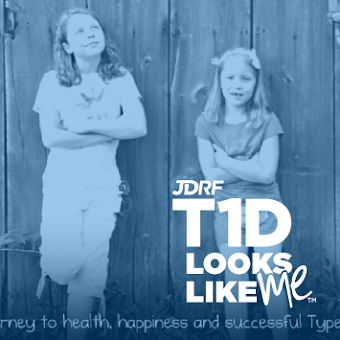 Now that you know all about type 1 diabetes and how our oldest daughter manages her care, we hope that you can see beyond to what a great kid she is. Type 1 diabetes is just one part of her and we hope that you enjoy discovering all of her talents, her enthusiasm and her joy of learning. Thanks for being a part of her seventh grade experience! Hope you are all having a wonderful start to the school year!